Over at Stamp and Create, we are back with a new Monthly Challenge!! Once random participant will win a $25 Gift Certificate to Stamp and Create. This week all Valentines/Love designs are on sale up to 25% off!! 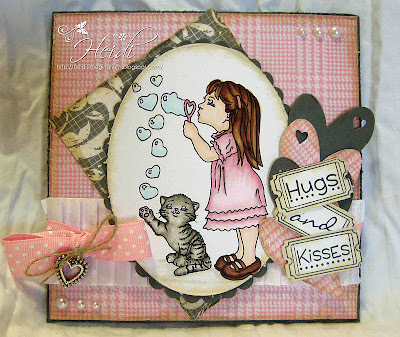 I used Bubble Fun by Wags 'n Whiskers and Love Mini Tickets by Whimsy cut out with the Mini Ticket Die. The paper is Echo Park Yours Truly. I also used the Whimsy Country Heart Die, May Arts White Satin Pleats Ribbon, Light Pink Swiss Dots 5/8" Grosgrain Ribbon, a heart 2 charm and Kaiser Craft Snow Pearls. 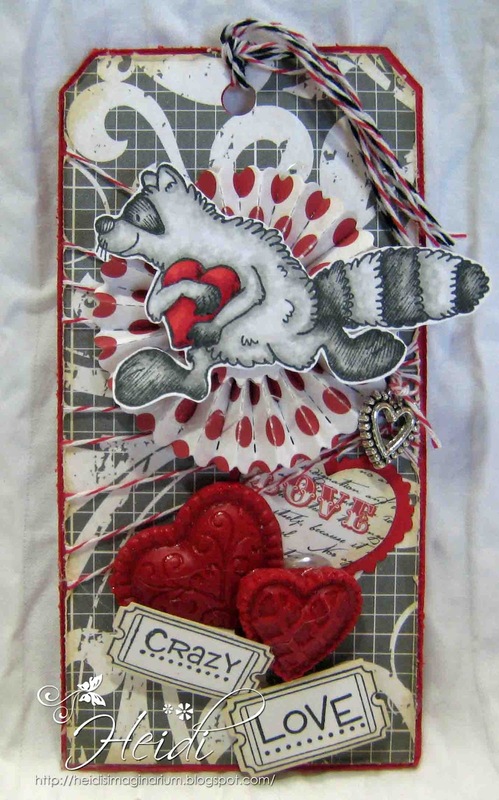 I also made this Valentine's Day Tag using High Hopes The Love Bandit and Whimsy Love Mini Tickets cut out with the Whimsy Shapeology Mini Ticket Die. The paper is Echo Park Yours Truly. She also used C.C. Designs Cutters Heart and Scalloped Heart Die, Sew Easy Fancy Floss Bakers Twine Neutrals and Primary, a Heart 2 Charm. I made the hearts using Melissa Frances With all my Heart Resin ornamants and ice resin. You can read about how I made them on this post.